In a society that tells us that good is never enough, I often wonder just how many of us have bought into that lie. I’m quite sure we all have seasons that it is true for each of us. Little did I know that as I was reading this book – I would enter just a season. God certainly has a beautiful sense of timing. She challenges women who see themselves as not being, doing or having enough with the truth that God believes the exact opposite. And because He is our Creator – who are we to argue! My heart ached during the passage of the book where she relates about a friend who leaves church feeling worse about herself than when she went in. This is directly related to the fact that her Pastor teaches that God’s love compels us to serve, but that all she hears is what she is doing isn’t enough. Her ability to relate to God in a more intimate way then suffers because of her feelings of inadequacy. I loved her explanation of what Grace does. “…grace is not lonely at all. Grace attracts where the law repels and divides. More accurately, grace attracts those who know their need for it, and repels those who think they’ve got it all figured out. 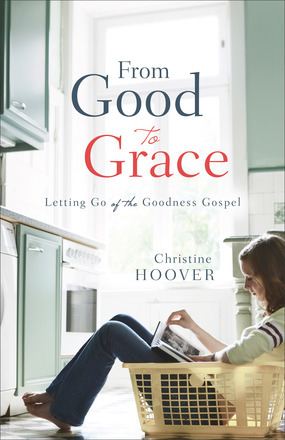 Grace is a concept that can be so elusive, yet the truth is – Scripture abounds with it. God wants to abundantly share it with us, and Christine shares Scriptures that help us see that. An excellent read – first for oneself, and then for others. I would recommend this for individual, but also for a small group or Book Club. This book has been provided for my independent review by Graf-Martin Communications and Baker Books. Life has not been easy for our main character, Kelli Huddleston. As the book opens, her honesty sees her lose her job. This after her father and step-mother have just died in an accident. She then learns that the family she thought died many years earlier, is actually alive, and it is she they think died years ago. Needing to learn about the father’s past life, she heads across the county to the town they live in, and tries to keep a low profile. She quickly finds a job, meets her mother and sister (but tells them nothing), and finds an apartment to live. The reader is drawn into the dual life she is trying to live in a town where people think she looks like someone they knew a long time ago, and we warm to the caring relationship that develops between Kelli and her sister Beth. 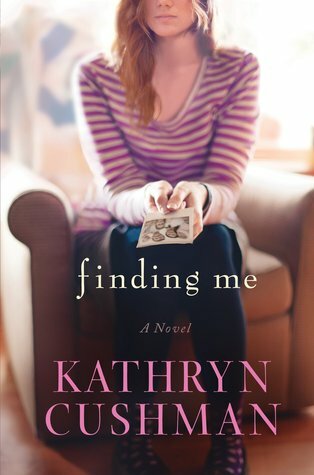 When more information arrives from an unexpected source, Kelli learns that the life she knew and the past she thought was true, were not the case at all. Then, a trusted part of her new life shares that they know exactly who she is – her plans fall apart. I was most taken with the scene where she is learning a new song to be able to sing confidently along with the congregation in church (what a great idea for people who are not used to our repertoire). Kelli doesn’t understand the concept in the words, but finds herself so moved, that it opens an opportunity for the truth of the Gospel to be shared. I liked that this book didn’t feel like a formula was being followed. I was engaged in Kelli’s quest all the way along, and found the last half of the book hard to put down – truly the mark of a well written story for me. I am thankful that this book has been provided courtesy of Baker Publishing Group and Graf-Martin Communications, Inc.